SubRosa - a community space: Art Show Opening Tonight! 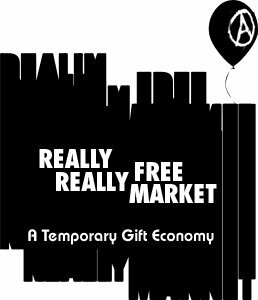 // Really Really Free Market Next Saturday (4/14) // & More! Art Show Opening Tonight! // Really Really Free Market Next Saturday (4/14) // & More! Tonight! Friday April 6th: 6 - 9pm! "Sh*t Grows Flowers!" may be the unofficial trademark // slogan for the fictional (and fully functional) Starbelly Trash Collective.. But on this evening, may they dazzle you with themselves in dispose!! 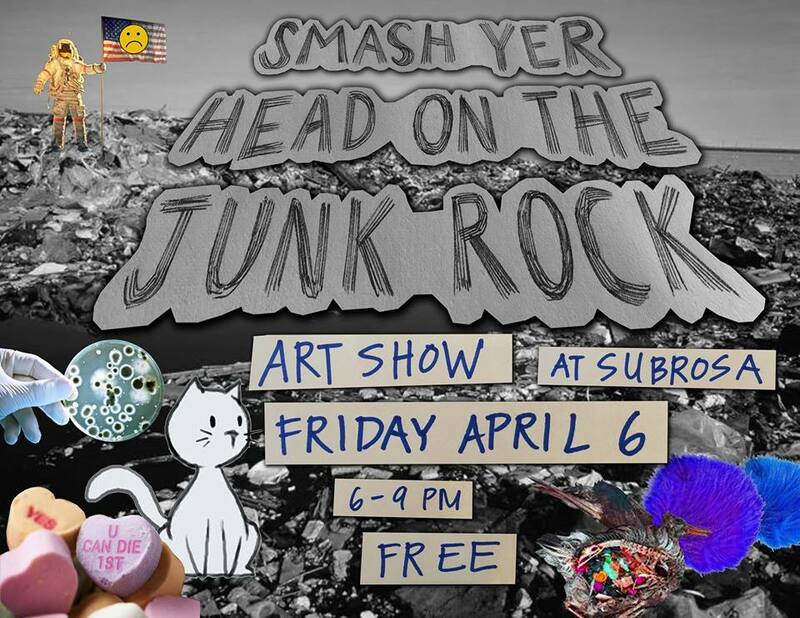 Your guts will be grinning as they cordially invite you to..
"Smash Yer Head On The Junk Rock"!! # il la lo #// P.D.C. ~ immobilizedcat ~ // P.D.C. We will be handing out zines that detail the art show & provide legends for our little game of "spot da splotch!" We would luv 4 u to stop by & be thy luving trash cats 2 our litter critter island. $free$ / donations to SubRosa & ourselves would be greatly appreciated..
No money. No trades. Everything is free! On the second Saturday in April because of rain on the first Saturday.